Over the years, Bajaj Discover has garnered a lot of appreciation from the Indian customers and has become the flagship model of the manufacturer. Bajaj Discover comes with patented six spoke alloys which boosts torque at low rpm. This bike is one of the most affordable bikes in India. 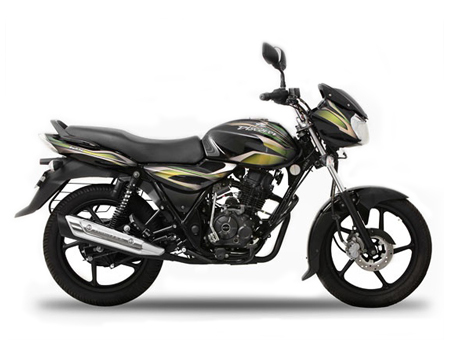 With a range of engine options, the Bajaj Discover bike has become the undisputed model in the particular segment and the manufacturer is consistent in delighting the customers with continuous advancement in this segment. This two wheeler has 8 models with 7 engine, 1 transmission, and different versions and offered at different ex-showroom prices.